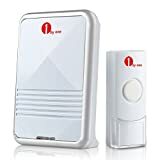 The currently in the UK no one sells a Zwave/Zigbee Doorbell, there is one in the US Aeotec’s Doorbell but has been pulled from the market twice last year. Unfortunately this isn’t a product that we sell – we know that a few different manufacturers make these, but we’ve heard that the feedback from users has been poor. We have therefore taken the decision not to stock them. Well my new house that I’m in the process of moving into didn’t have a door bell at all so I needed to start looking for a door bell that had a LED that would flash when the door bell went off. So I went to wiko’s and paid 17.99 for a Wireless Battery Door Bell as I don’t want to waste a plug socket on a door bell. Right the reason we need the LED is so we can use it as a binary input which is where the Fibaro FGK-101 Door and Window Sensor I have seen it as slow as £30 but seems to average around £35. 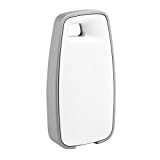 The Fibaro FGK-101 is a 3in1 device that can be used as a Window and Door sensor as the name suggests but also a binary switch or temperature sensor (Note you need to buy the temperature sensor and connect it). The only annoying thing is you cant use more than one at a time so the only real selling point other than binary input is for using it as a door or window sensor as it comes in 7 different colours so it can match your doors or windows if you don’t have white other wise you should just buy the SmartThings Multipurpose Sensor as its cheaper and does temperature and loads more at the same time. Back on to the subject of making a Z-Wave Door Bell I got back home with the Wiko door bell to find the LED didn’t flash when the button was pressed after reading the manual the LED was a low battery warning light why would you need that I really don’t know as the device will start sounding flat or one would guess try changing the batteries if it wasn’t working. 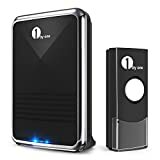 I starting looking online and found 1byone Premium Portable Waterproof Wireless Doorbell for ££8.99 Delivered (I have Amazon Prime best 79 pounds per year your ever spend) also available in black for £11.99 the feature I was looking for “Sound and Flash, gives you a visual form of notification (an excellent feature for the hearing impaired)”. 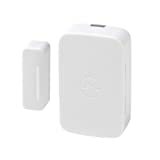 Now to join the Fibaro FGK-101 Door and Window Sensor to Samsung SmartThings you need to take the battery out, Start a search for new devices using the App, Put the battery back in and press the TMP button inside the device three times very quick. Note as SmartThings sees it as a Window/Door Sensor it will be added to the Smart Home Monitor as the device that is open at all times it will moan like crazy that there’s an intruder just go though the Setup again deselecting the Door Bell. Looks great! Do you have more information with regards to the wiring? I have updated the post with photos of the wiring I have made it a bit more complicated than it needs, I will draw it out to make it easier sometime next week. I have also made a custom app due to the the door bell LED flashing 4 times on one button press the App only allows 1 Notification every 15 seconds the button is pressed. I’ve been wanting to do something like this for a while but couldn’t find an appropriate bell with the led. I ordered the same 1byone based on your post, good find! I’m using a vision door sensor (http://www.vesternet.com/downloads/dl/file/id/97/z_wave_vision_door_window_sensor_manual.pdf) not the fibaro but I’m hoping it should work the same. In another guide I read, the led wires went direct in to the dry contact on the sensor. This is what I tried to do but it does not appear to work. Someone has suggested that you replaced the led with a transistor and this then goes to the dry contact. Could you elaborate on this part of the build? I would love to get this working..
Thats great, thanks for that. Got a couple of components to go order.. So the negative from the led doesn’t need to go anywhere? I know very little about electronics sorry, can you explain the ground connection between the batteries? To be honest so am I, I’m just lucky to work with a few people that know everything. The contact sensor is a binary input basically when a circuit is made its closed you cant put any voltage down the binary input as it will either fry it or just wont work. A BC184 or equivalent transistor opens a circuit if the the middle pin detects a current. I will get the person who designed the circuit to explain the reason for the ground tomorrow. Ah ok, starting to make a lot more sense. One thing, I ordered 10K Ohm 0.5W 1/2W Carbon Film resistor. Is this unsuitable? Got my components, wired it all up, no joy. Realised I misread your explanation. I was wiring the led + (red) cable to the resistor and then to the transistor, whereas I believe I should have essentially replaced the led with the resistor and wired from the top of the led + terminal to the transistor (you might confirm if this is correct) In any case, I made this correction, still nothing! very frustrating.. I don’t expect you to be able to tell me what the problem is of course any there’s every chance I damaged something somewhere along the way but if by any chance there’s something obvious you think I might have missed, Id really appreciate it. Sorry for not getting back sooner. Any chance you can email photos of what you have done to dale(DOT)steven(DOT)gmail(DOT)com. Great idea, and I have the kit – but which connections did you use on the Fibaro ? I can see from the pictures, that you’ve used the ‘IN’ (on red cable) going to the transistor, and the GND(on black cable) going to the transistor as well – which will register as a connection when the LED comes on and passes the current to the remaining post on the Transistor. But you’ve also got another GND connection, (on black cable) going to the battery but coming from whereabouts on the Fibaro ? It looks like its going to the TP(VDQ) terminal, but I thought it was just supposed to be the Fibaro batter ground ?? Hi, As the GND terminal connector on the Fibaro seems to be directly connected to the negative battery connector on the Fibaro (according to my multimeter) I take it I could actually connect the negative battery from the doorbell straight to the pin on the transistor that connects to the GND on the fibaro? This way if the transistor is housed in the doorbell unit only 2 wires would be required between the two devices. I just tried to create the smart app and after clicking create, I get a huge error. I’d paste it here but it’s pretty long. Has something changed to stop it working? Thanks for all the information. I have ordered the doorbell and the Fibaro FGK103 sensor. I have also ordered the DS 18B29 temperature sensor. Ok I have a problem with adding a new smartApp. You wont be able to use the Fibaro FGK103 sensor binary input and use the temperature sensor at the same time I’m afraid, as they use they same terminals. Thanks for the info on the temp sensor oh shame . I also hit the enter key after pasting the link but still an error. Looks like smartthings have made changes to the description requirements recently. Just to confirm you are copying the code from the here and not just pasting just the URL? Will modify the bell in the next few days and have a sonos Play 1 arriving next week and maybe make use of that as well when triggered. Having great fun and thanks so much for all your help. Steve, Thanks for this howto. I used a Byron BY503 wireless door bell I already had & a FGK-101 which are now around £42. Works brilliantly with your app. Thanks for this – I’ve got it working with the same doorbell you demonstrated. I’ve also modified your SmartApp to enable Pushover alerts as well, borrowing code from here: https://community.smartthings.com/t/pushover-notifications-using-http/518. I’ve hit one snag with the final step however, when I try enable the skull it’s asking me for the required field ‘Where’ but doesn’t give me options to select? Can you send/post the code. Or do you have a better solution now? ?